JAR conceived of the study, participated in its design and coordination, performed statistical analysis and interpretation of the data, and drafted the manuscript; PS conceived the study, participated in the design and coordination of the data, and helped draft the manuscript; JER participated in the design of the study, performed statistical analysis and helped draft the manuscript; AR participated in the design and coordination of the study and helped to draft the manuscript. All authors read and approved the final manuscript. Julianna Rava declares that she has no conflict of interest. Paul Shattuck declares that he has no conflict of interest. Jessica Rast declares that she has no conflict of interest. Anne Roux declares that she has no conflict of interest. American Psychiatric Association [APA]. (2014). Autism spectrum disorders. 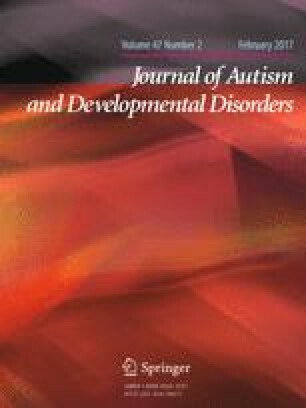 Retrieved December 1, 2014, from http://www.psychiatry.org/mental-health/autism-spectrum-disorders. Cameto, R., Wagner, M., Newman, L., Blackorby, J., & Javitz, H. (2000). National longitudinal transition study II (NLTS2)–sampling plan. Retrieved from http://nlts2.org/studymeth/nlts2_sampling_plan2.pdf.